So you just grabbed some great looking wallpapers for iOS, but how do you set those images as the background on an iPad, iPhone, or iPod touch? 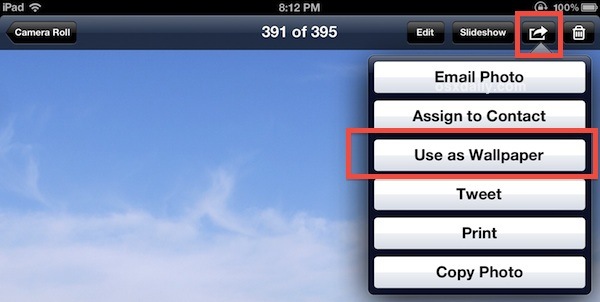 It’s a very quick and simple process on any iOS device once you learn how. You can also make these changes through the Settings app by tapping on “Brightness & Wallpaper” and choosing from either the default options from Apple or anything in the camera roll, but all in all the Photos app is easier to flip through pictures with and ultimately is less daunting for less technical folks. This is a surprisingly common question for people who are new to the iPad in particular, I’ve had to show this to numerous friends who are otherwise very geeky individuals. If you already knew this, great, if not, now you do. Thanks for the question and tip idea Gary! Jokes on you Blake, haha gotcha! 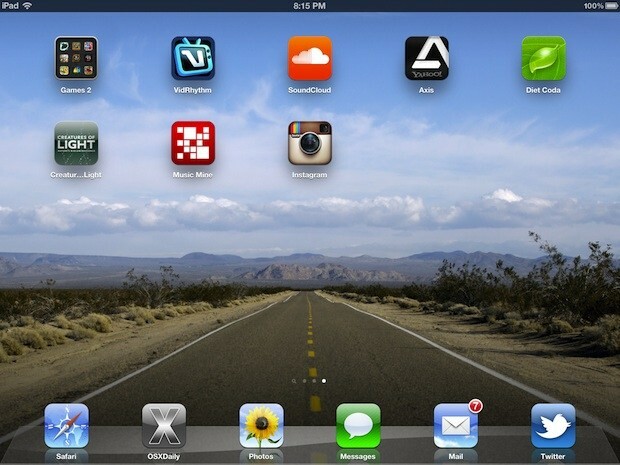 How did you get the Instagram for iPad beta? I thought it wasn’t public?